Daimler has an interesting history. Gottlieb Daimler set up his company in Germany in 1890. 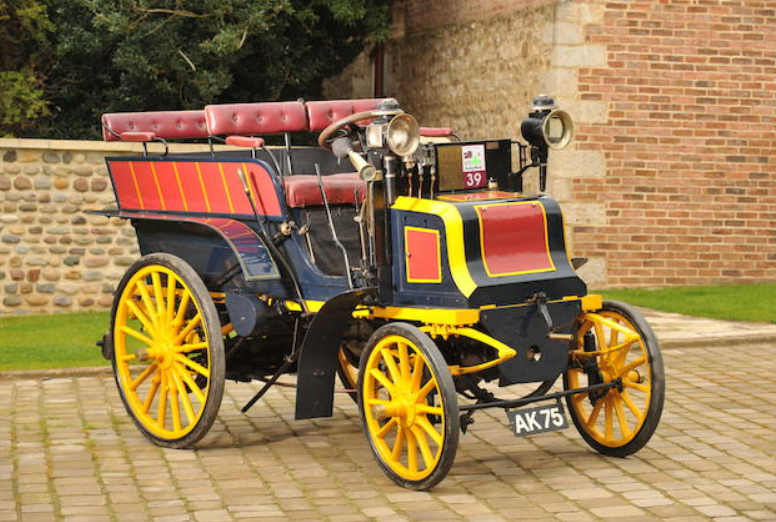 But a second Daimler popped up in Coventry in 1896. 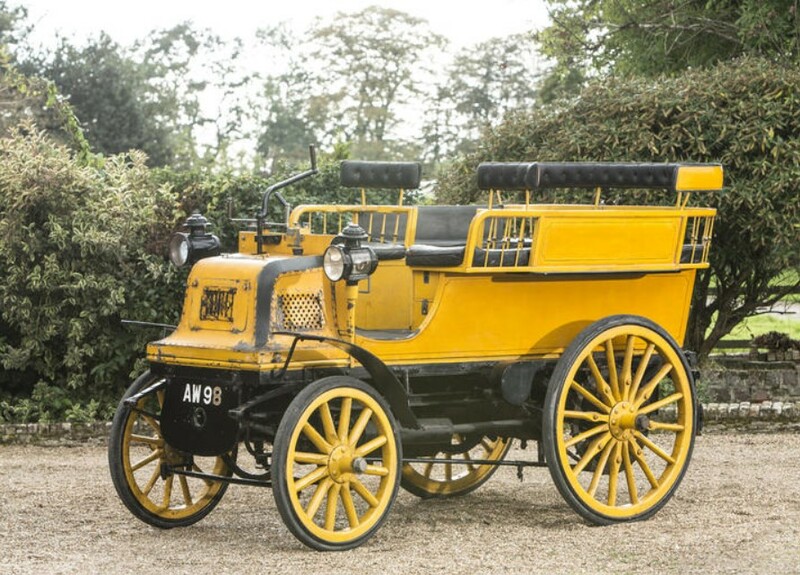 The British concern bought the rights to the Daimler name and their early cars used Panhard chassis and German Daimler engines. The German Daimler survives as the company that owns Mercedes-Benz. The British Daimler is owned by Jaguar and has been dormant for a few years. Not much is known about this car’s early days but it was rescued in 1931. 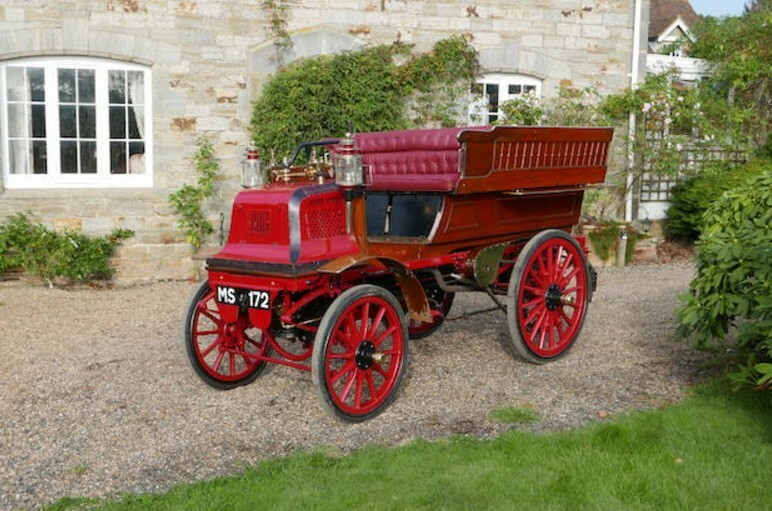 A subsequent restoration found that this car was actually hot rodded around 1902 and fitted with a more powerful engine and “modern” parts. It was restored in the 1970s and has been in a Japanese collection for 20 years. Everything has since been converted back to original specification (with the exception of the ignition). After two decades in a museum, this car has been recommissioned and it does run. I’m not sure how fast this car’s six horsepower twin will propel this large vehicle, but it is a very early car and not the type that comes up for sale often. It should sell for between $320,000-$400,000. Click here for more info and here for more from this sale.